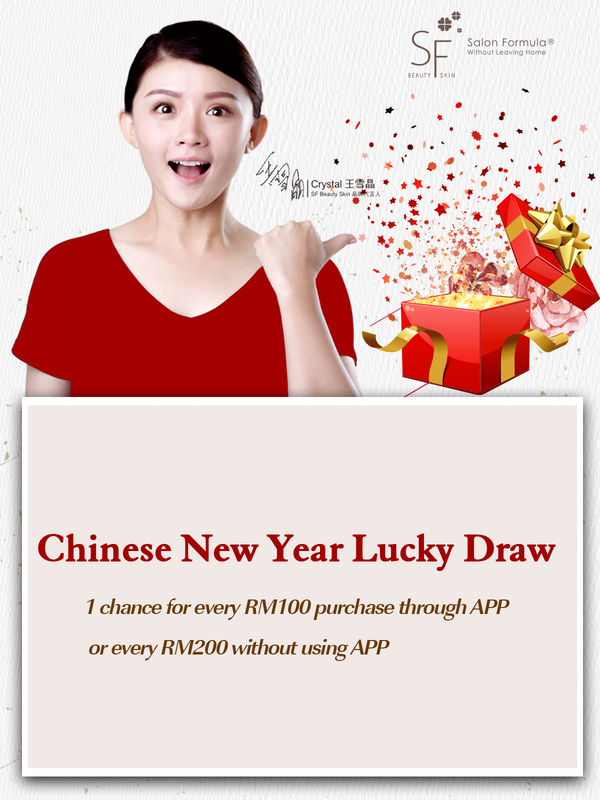 - Purchase with APP from 1st Dec 2018 to 28th Feb 2019 and complete with payments to qualify in this event. -Download the APP now to grab this opportunity in winning the lucky draw. Handle, use and reuse the personal data provided by you on this website. - Participation shall terminate on 2/28 (Thursday) 23.59, the cash voucher will be rewarded in the winner's account and will be deducted on subsequent orders. -Each order is accounted individually in the calculation for the number of chances in each draw. Orders cannot be accumulated to qualify. -If the winner returns any product or the amount of the order is reduced after the award, it will be deemed as a disqualification and the reward confiscated. - Winnings cannot be redeemed as cash, or transferred, and shall be valid for 90 days after the announcement of the award. -The organizer reserves the right to modify the event. -If there is any violation of the activity method or misappropriation of other people's identity information to participate in the sweepstakes, the organizer shall have the right to cancel the qualification and reserves the right to pursue legal action against any act that destroys this activity. -Any system that misrepresents the event or winning notice due to the computer, Internet, telephone, technology or the inability to host the event, any delays, loss, or errors in the information registered by the participants, the organizer shall not be held liable, and the participants shall not be dissident.